This prestigious community is home to many prominent executives and business owners and their families. We recognized the need to ensure their privacy and their safety. The Sanctuary is widely considered one of the most secure gated communities in South Florida. 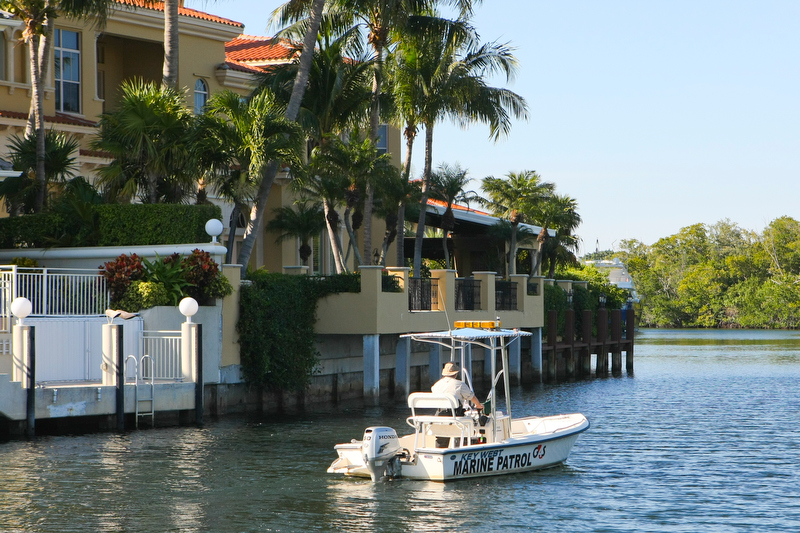 The neighborhood is patrolled on both land and waterway by armed Sanctuary guards 24/7. Privacy is also provided by a highly manicured landscape setting secluded from sight and by large mangrove trees on the waterway. A separate service gate is provided for all vendors. All vendors are checked at the service gate and registered. Vendors are required to be cleared by the resident and show valid ID for entrance. For residents privacy, safety and convenience all mail and packages are received by the gate, including USPS, UPS, and FEDEX. Packages are delivered per instruction from the resident. The Sanctuary prides itself on being an exclusive oasis for its residents.